Posted by Christina Ruiz & filed under FlipSnack Reviews. FlipSnack is useful for creating flipbooks out of PDFs and from scratch using their online editor. However, free accounts can only create 3 publications, and each may only have 15 pages. To get unlimited publishing, you will need to choose a premium plan. An amazing free alterantive to create yout flipbooks is Yumpu. Visit Yumpu.com now! 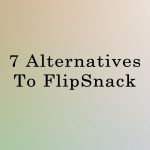 So, if you’re on a strict budget, you might decide that FlipSnack is not right for you. You might also be looking for a different way to present your content. Some FlipSnack users publish their page content across multiple platforms to reach more readers. Here’s some of the best free digital FlipSnack alternatives on the web. These are all good choices for publishing rich, visual content that can be enjoyed from any device. Upload your PDF page files to present your content as a book with turning pages, accessible from phones and tablets – no need to download. JooMag is one of FlipSnack’s closest competitors, with many of the same page flip features. You can upload a PDF page to create an interactive online magazine, or use their editor to design new content. Even free accounts get unlimited uploads, and you can embed your publications onto your website or blog. Publishing to JooMag releases your content to their audience of millions, so it’s a good choice if you’re planning to use multiple outlets. Yumpu is another close competitor for FlipSnack. With a free account, you can publish unlimited documents, and you can even embed video into your flipbook online without upgrading your account. Yumpu also has a large audience, so it’s beneficial to use it along with other publishing sites to expand your readership. Your publication will be readable in the Yumpu ePaper format, which is smooth and realistic for a reading experience your audience will enjoy. Issuu is a popular free FlipSnack alternative. Free users get unlimited publishing. Issuu also has a larger audience, and helps readers discover new publications, making it useful for reaching new audiences. You can also download the Issuu app for free to discover tons of free content, and even save publications to an offline reading flip page list to read them anywhere you go. Read my FlipSnack Vs Issuu comparison to learn more about the differences between them. Calameo is also a free FlipSnack alternative and has millions of readers around the world using 7 different languages for digital publishing. You can upload and share many types of media, including PDFs, Microsoft Word documents, PowerPoints, OpenOffice Impress and more to create your digital flipbook. The publication reader is even more advanced than many competitors, allowing you to view other digital publishing from the same publishing platform, view in slide, thumbnail and scroll formats, and search within the document. If you like FlipSnack, you’ll love AnyFlip. This alternative is free to upload unlimited PDF documents, and you can choose between an HTML5 or Flash publication. Flipbooks can be customized with backgrounds and special effects, and you can embed videos, links and PayPal shopping if you have a premium account. While iMag isn’t exactly a free Flipsnack alternative (the trial will cost you a dollar… One. Whole. Dollar. ), it’s pretty cheap at least to try out. When you do, I guarantee you’ll love what you find. iMag offers a stunning interface and super-easy conversion from PDF to flipping book, so there’s no steep learning curve and no wasted time. The best bit about it? It has in built auto-optimization, which gets your document Google ready as soon as it uploads. can’t for the life of me figure out the pricing structure… is it $15 per month, or per year? If it’s a per month price, it’s really quite affordable too. So Bote is no newcomer to the digital publishing world, with over 150 million users and a decade of experience behind them. More than 650, 000 businesses use the platform and 2.5m flipping books have already been published using their intuitive software. They have a number of powerful features built into the software, including ultra-fast rendering, a powerful bespoke editor and a unique one-click-sharing feature which can even extract specific parts of your document to share on social or email. The free trial is totally generous, with the ability to upload three documents of unlimited pages and up to 600MB in size. That’s enough for even the thickest of catalogs. I love Bote, and I think you will too, so do check it out. SlideShare doesn’t allow you to create flipbooks, but you can create a presentations with slides. LinkedIn owns Slide Share, so it’s a good way to reach an audience of professionals. 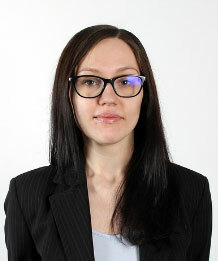 Marketing, technology and career content is popular on this platform. It’s free to upload unlimited content. You can upload a PDF to FlipHTML5 to create an HTML5 online free flip book. The resulting flipping book or flip book can have a custom background and a realistic rustle as the pages are turned. Like FlipSnack, FlipHTML5 has social sharing buttons. There’s also a desktop version you can download to edit and create flipbooks from scratch. Whether you decide FlipSnack is right for you, it makes sense to upload your PDFs to multiple online publishing platforms around the web. Most of these FlipSnack alternatives are SEO friendly, meaning any links you use to your website within your content will be indexed by Google. This is a very easy way to create backlinks without creating lots of extra content. These sites are also visited by millions of users each day. Users who read other publications in your niche are likely to find you via similar content suggestions. They will also find your publication on your blog through the site’s search engine. If you want to increase your leadership, providing free content and making it available across multiple platforms, Yumpu.com is a quick and effortless way to do it. I was using the slideshow with other publication tools. How does it work with yumpu? Can you tell me how can I upload images and create a slideshow inside of my magazine? Choose the Slideshow Hotspot. Then click into the magazine and drag the hotspot as big as you need it. Choose “Upload Files” and then “Select Files”. Select the images you want to upload. Now choose the images you just uploaded and click on “Create Gallery”. Then click on “Insert”. That’s it! I was quiet satisfied working with Calameo. But I am ready to publish my magazine somewhere else now. How was your experience with yumpu? My experience with Yumpu was really great. I enjoyed working with Yumpu as it’s really fast, simple and free for all the features I need. I can only recommend it. I am confused. On the homepage of Joomag they say that you can upload up to 500MB if you are using the basic plan. But you said it’s unlimited. Who is right now? I had some issues with issuu haha – I am happy that I switched to Yumpu. Hey, I have a great comic in production. Is it possible to publish it on yumpu or calameo? Great article! Thanks for the helpful advice and comparison! I was looking for a flipsnack alternative and I came to your article. I had the same problem. I had an online magazine with over 20 pages. I wasn’t able to continue with the free version of flipsnack. Then I saw your article and I switched to yumpu – everything works perfectly – and I was using the free version as well. I am glad I found your article. Thanks Christina. I really enjoyed “flipping” through the yumpu epapers. It’s fun and it looks like a real magazine. Christina, you listed a bunch of online publishing platforms. What would be your ranking of your top 3 favorites? Bringing you the best software and inspiration for creating online documents and magazine flipbooks that beautifully present your content.